The Hunger Games : You know they usually say that the movies they make do not do the book justice. This is another one of those situations when that is true. There was so much hype when the blockbuster movie was released, that as a human being I became very curious. It did not help hearing all the teens swear that although the movie is great the book was on another level. For the record, the movie is really good. The Hunger Games is set in a fictitious country called Panem, which exists in the same area North America once stood. They are a total number of twelve districts that surround this nation. Often they engaged in war and and the districts always lost. In order to surrender they would have to each send a boy and a girl to participate in a yearly live reality TV like show called, “The Hunger Games”. 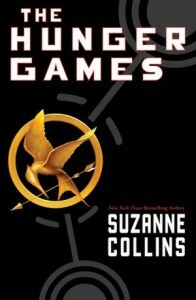 The main character is Katniss Everdeen, a 16 year old girl who lives at home with her little sister Prim and mother. Prim is selected to represent her district but her sister Katniss replaces her in the game where out of 24 contestants only one lives and wins the game. It is a very fast paced game set in different terrains, the rules are constantly changing and they even allow the audience to participate. Get ready for an intoxicating life or death plot, that is full of drama and at times disturbing. The author Suzanne Collins spent her younger years writing children television shows on channels like Nickelodeon. She is a New York Times bestselling author for another series of books, “The Underland Chronicles” that was written for the middle-grade age group. The Hunger Games is actually a trilogy, in which she tries to look at how war and violence affects our children. Although the book is targeted at teenagers, often times I found the story very brutal. Judging from her previous works, you would never expect her to write a storyline such as this one. Thank you for another great post. Where else could anyone get that kind of information in such a perfect manner of writing? I’ve a presentation next week, and I’m at the look for such info. Fantastic items from you, man. I’ve be mindful your stuff prior to and you are simply too fantastic. I actually like what you have bought right here, really like what you’re saying and the best way wherein you say it. You’re making it entertaining and you continue to take care of to stay it smart. I can not wait to read far more from you. This is really a tremendous web site. A lot of thanks for all of your efforts on this site. My mum delights in doing investigations and it’s really simple to grasp why. Almost all know all relating to the dynamic tactic you deliver simple items by means of your web blog and increase participation from other people about this content plus our favorite daughter is truly studying a whole lot. Take pleasure in the remaining portion of the new year. You have been doing a very good job. I would like to convey my passion for your kind-heartedness supporting all those that must have guidance on this field. Your real dedication to getting the message all-around has been quite effective and has in every case permitted women like me to attain their goals. Your entire useful tutorial implies this much a person like me and still more to my fellow workers. Regards; from all of us. I think that everything composed made a great deal of sense. But, what about this? what if you composed a catchier post title? I mean, I don’t wish to tell you how to run your blog, however what if you added something that makes people want more? I mean %BLOGTITLE% is a little vanilla. You could glance at Yahoo’s front page and note how they create news headlines to grab people to open the links. You might add a video or a picture or two to grab readers interested about everything’ve got to say. In my opinion, it would make your website a little livelier. Wow, awesome blog layout! How long have you been blogging for? you make blogging look easy. The overall look of your website is excellent, let alone the content!. Thanks For Your article about The Hunger Games . Awesome posting. I liked reading this. If you want, please visit my website. Wow, amazing blog layout! How long have you been blogging for? you made blogging look easy. The overall look of your web site is fantastic, as well as the content!. Thanks For Your article about The Hunger Games . Hello There. I found your blog using msn. This is an extremely well written article. I’ll be sure to bookmark it and come back to read more of The Hunger Games . Thanks for the post. I will definitely return. Hello There. I found your blog using msn. This is a really well written article. I will be sure to bookmark it and return to read more of The Hunger Games . Thanks for the post. I’ll certainly return.